You are here: Home / CELEBRATIONS / Galentine’s Day Gift Bags with FREE Printable! 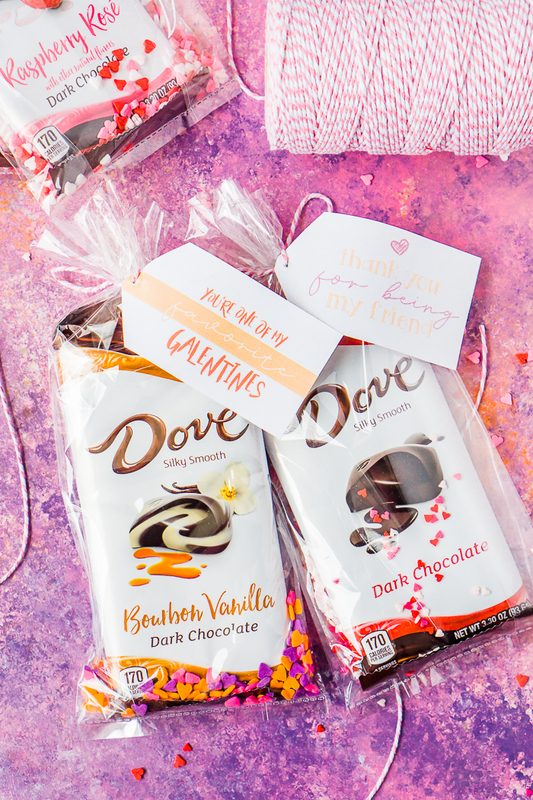 Make easy but delicious Galentine’s Day Gift Bags to thank the amazing friends in your friend circle with some help from DOVE® Chocolate Bars and FREE printable gift tags and cards! It’s a quick DIY treat bag your friends will remember! 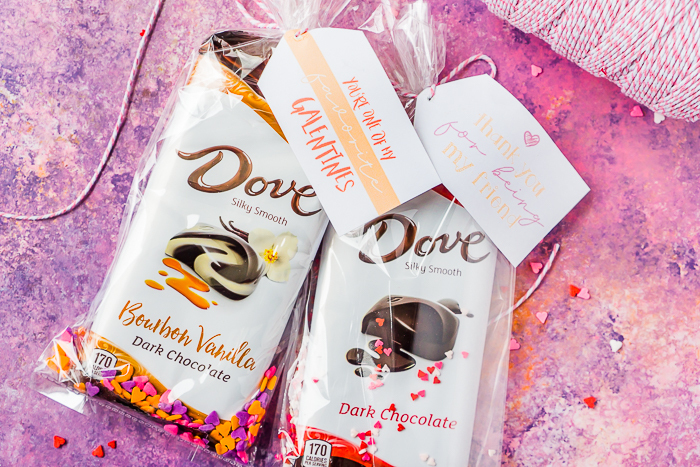 CELEBRATE GALENTINE’S DAY AND YOUR AMAZING FRIENDS WITH THESE EASY DIY GIFT BAGS! Galentine’s Day is one of those holidays that first appeared in pop culture from the adorable Leslie Knope but has since grown into a common, modern day celebration of friendship. So, what is it exactly? Leslie set aside February 13th as Galentine’s Day, a day to celebrate the platonic love that exists among lady-friends. I think it quickly became popular because it filled a need, sort of like how popular Friendsgiving has become. For many adults, friendships have become an organizing social factor in their lives, just as much, or even more so, than family. We have a small group of friends that we consider family, our son calls them “aunts” and “uncles”, so it’s not surprising that people find fun in holidays that celebrate that sort of love. So, whether or not you officially celebrate Galentine’s Day on February 13th, I whole heartedly accept Leslie Knope’s challenge to celebrate the amazing women in my life. But not just on February 13th—all year long! Often we forget to acknowledge and thank the friends in our lives who cheer us along on our best days, help prop us up on the days we are too tired to function, and happily listen to every thought that pops in our heads. Any excuse to do so is a good excuse! Friends should be celebrated, and what better way than with some delicious chocolate and a cute Galentine’s Day card or gift tag? Seriously, forget tiny little bites of chocolate. These new DOVE® Chocolate Bars are amazing and make the best “Treat Yo Self” gift! DOVE® Chocolate Bars are rich, premium chocolate bars that come in fun flavors like Bourbon Vanilla, Almond Brittle, Salted Caramel Blonde, and Raspberry Rose, as well as the classic and addicting Dark Chocolate! I picked up a whole collection of these chocolate bars when I was shopping in Walgreens this week and decided they were perfect for making fun little friend gift bags! I might also have a few already stowed away in my hospital bag, too, to enjoy after baby #2’s arrival! I wanted these Galentine’s Day gift bags to be super easy to accomplish for everyone because thanking a friend shouldn’t add a lot of work to your plate. We all have enough to do every day of the week! 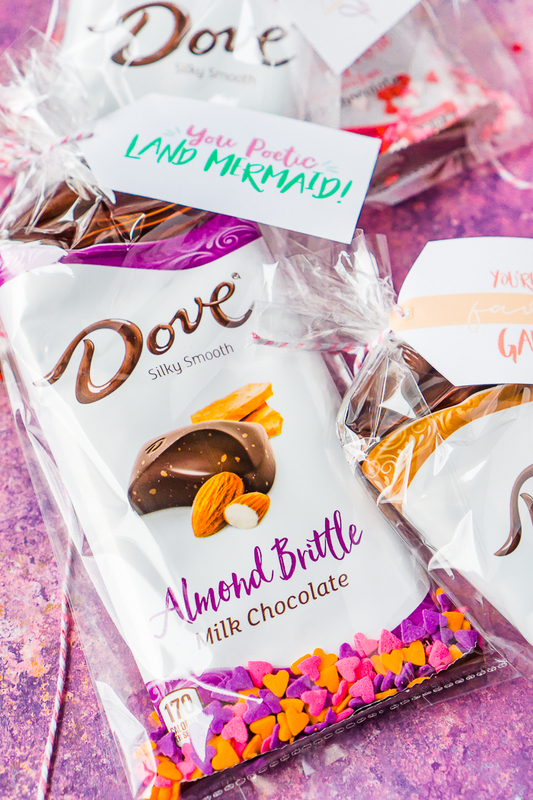 My only big suggestion is to make sure you purchase your own DOVE® Chocolate Bar from Walgreens to enjoy yourself as a treat while making these gift bags. 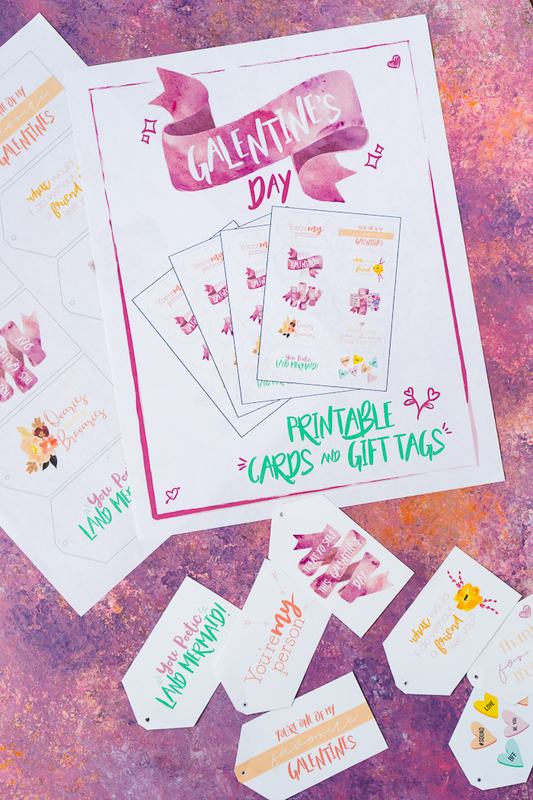 To make it as easy for you as possible, you can download these FREE PRINTABLE GALENTINE’S DAY GIFT TAGS AND CARDS up above! All the cute design work has been done for you! Just print, cut, and write whatever message you would like! Then, add one DOVE® Chocolate Bar to a clear plastic treat bag. I decided to also toss some fun Valentine’s Day themed sprinkles into the bag as well because I wanted to add a little decor to the bag without adding much work. Still going for easy over here! You can always skip the sprinkles and add gift bag filling or tissue paper if you also want an added pop of color in the bag. Or you can always skip the plastic bag all together and tie your gift tag around the chocolate bar itself! So many options for you! For my gift bags, I used a little bit of baker’s twine to thread through the gift tag and tie the plastic treat bag closed. Ta-Da! The Galentine’s Day gift bag is complete! 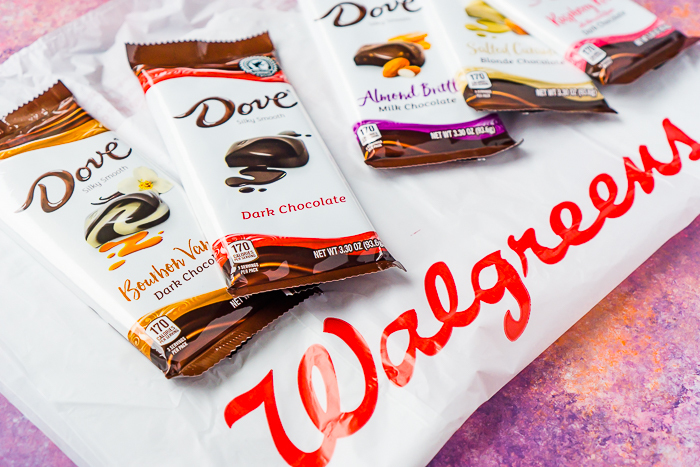 Make sure to Choose Pleasure® with DOVE® Chocolate Bars at your local Walgreens today.